I sure was for the duration of this movie from the director who brought us the laugh-out-loud Hangover. I thought this movie would be like a cross between Hangover and Planes, Trains & Automobiles – both movies, which I really like. Sounds like fun, right? 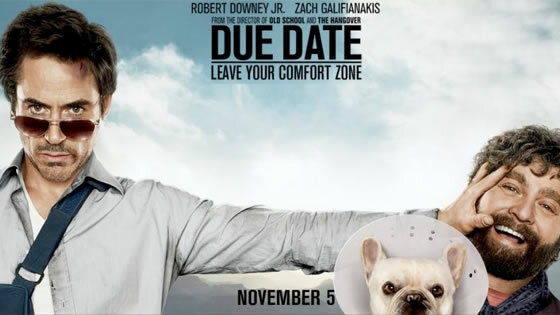 But Due Date is just not clever enough nor funny enough. It never delivers. Ethan Chase / stage name: Ethan Tremblay (Zach Galifianakis) manages to get Peter Highman (Robert Downey Jr.) kicked out of an airplane and placed on a No-Fly-List. Just think of two words, which should never be said aloud on a plane. Therefore, Peter’s only option to make it back to LA in time for the birth of his first child is to hitch a ride with Ethan. And so begins a road movie or should I say – a movie wreck, which luckily is only 95 minutes long. Ethan, who also was kicked out of the plane, is on his way to an audition in Hollywood. His dream is to be on Two and Half Men. Little did they know at the time of making this movie, that there would be a spot open on that show. Ethan’s father, who was like a father to him, has just died. Peter is about to be a father. Todd Phillips, who directed the movie has said that this movie is about why Peter and Ethan needed to meet at this moment and why Peter needed to travel with this kind of man-child who was going through this traumatic experience but really is a purely loving creature much like a child would be and just needs some adjustments. To me this movie lacks funniness and likable characters. It’s like car which is stuck on the first gear and never really takes off. 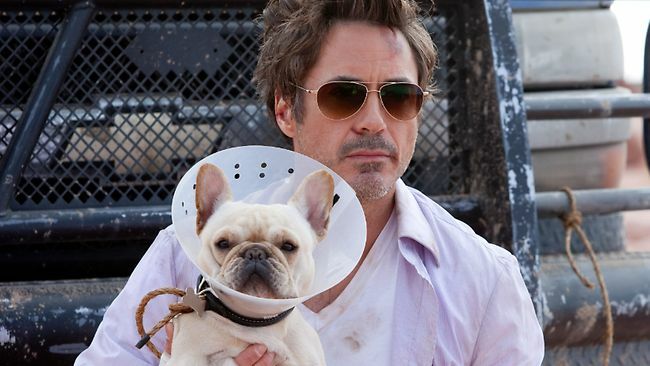 Robert Downey Jr. is good – he’s a fabulous actor, so he acts well. 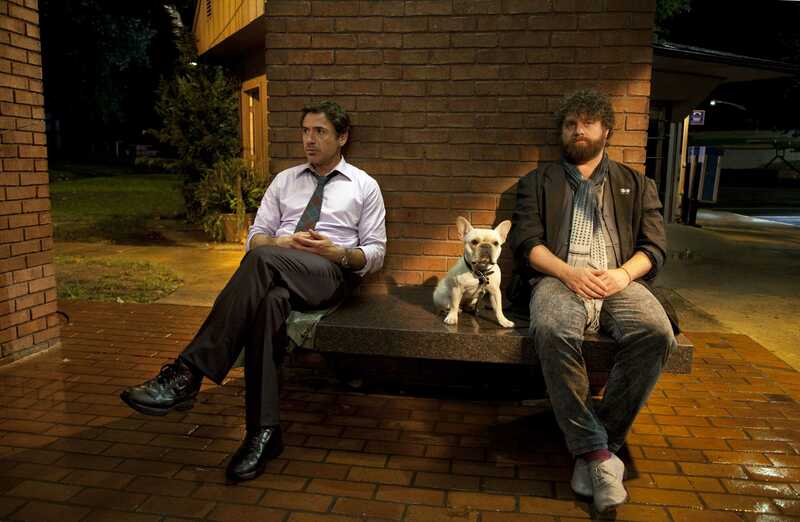 I have no complaints about Zach Galifianakis’ acting either. He was obviously typecast in this. Biggest problem with Galifianakis’ charter is that he is just not likeable, not witty nor interesting enough. Thus this movie just does not work for me. I was looking forward to Steve Martin / John Candy like chemistry. Sometimes the screenplay really does not make any sense either – not even on the level of “this-does-not-make-any-sense-but-it’s-funny”. Ethan belies that perms take him to another level as an actor. Maybe that’s what this movie would have needed. It tries, but it never quite gets there. I think the biggest fault is in the screenplay. 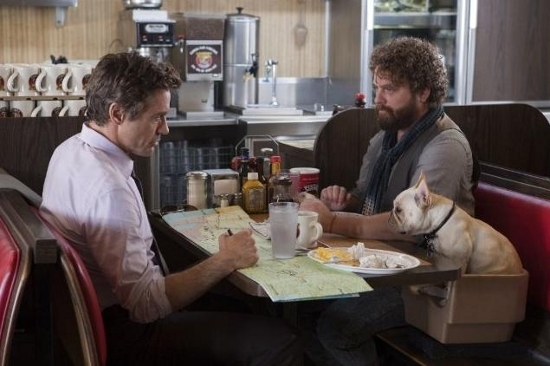 This entry was posted in cinema, comedy, drama, film, movies and tagged Due Date, film, movie, Robert Downey Jr., Todd Phillips, Zach Galifianakis. Bookmark the permalink.